Jumbo Inflatables originated as an Australian inflatable company in the 1980's. Today the company is internationally recognised, exporting and trading globally. We design custom made inflatables, skydancers and mini POS inflatables that add impact to any promotion. Jumbo also hire inflatables from our extensive rental fleet and supply other signage solutions. 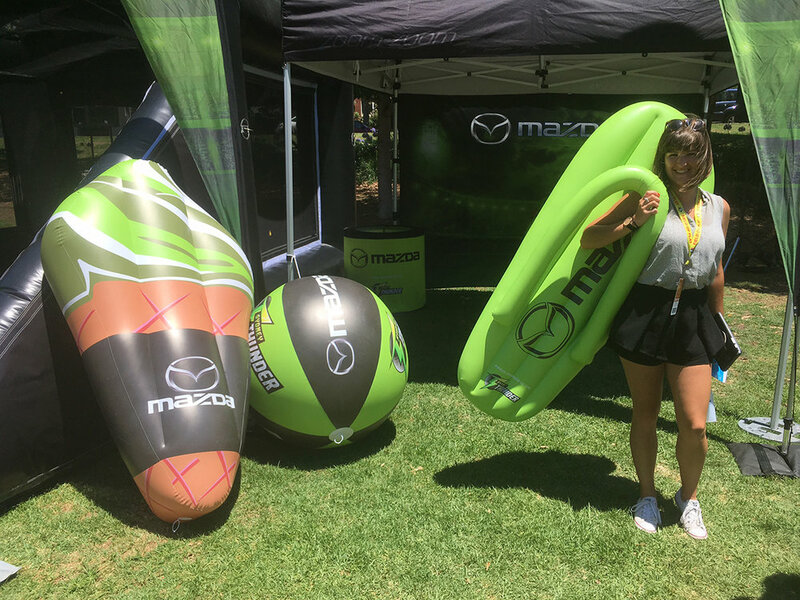 Inflatables deliver your message and make a huge impact for any event. Jumbo have the best expertise and knowledge of how to best utilise inflatables at major events. We also offer a full national logisitics service including freight, storage and installation. Our clients include major national and international retailers, big brands, advertising agencies and major events. Jumbo pride themselves on delivering unique designs and the best quality. We strive to give the best personal service whilst working within budget. At Jumbo we believe... IMAGINATION HAS NO LIMITS! It's not just the unique inflatable designs, it's the continued service and support we pride ourselves on.